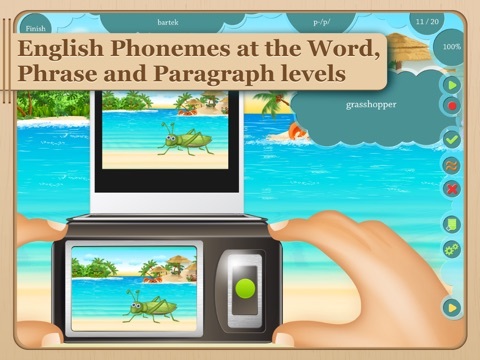 "These innovative games cycle through as the students target their articulation goals in word, sentence, or story level. This has become my new favorite articulation app...This app has been a huge hit for me and I hope that you will like it too." Download the most innovative and fun articulation app on the App Store and play four games while going through articulation drills! 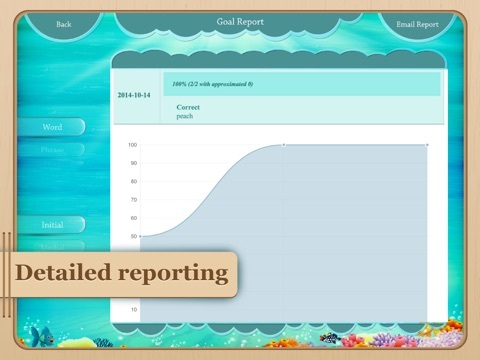 The Articulation Vacation app is built around a vacation theme and activities. Children will have fun practicing the articulation of various phonemes while “on vacation” and playing different built-in summer games. 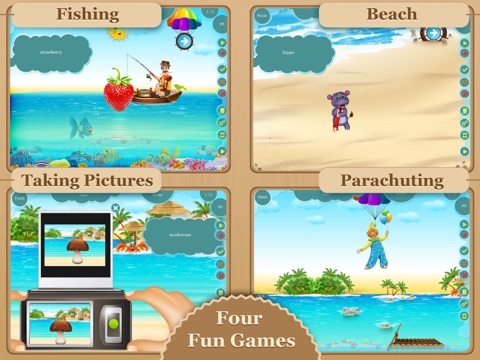 - Fishing game: Children will fish and catch not only fish but also different fun objects containing targeted sounds. - Beach treasure hunt: Children will look for hidden objects in the sand and uncover them by swiping the sand. - Picture-taking: Children will take pictures of different objects containing targeted sounds. - Parachute game: Children will land flying parachutes carrying different objects containing targeted sounds. 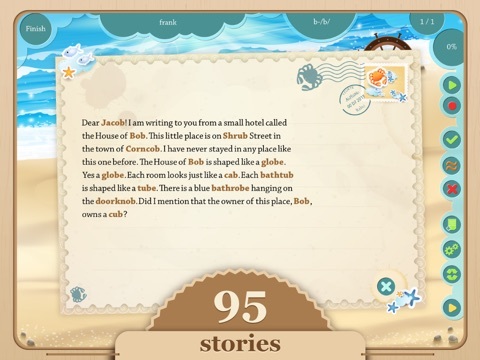 - Postcards: Children will read or listen to fun, short paragraphs in the form of postcards. Please, take a minute to rate or comment on this app. Thank you!